After spending about a week in the Kebnekaise area with my wife and son I will wave goodbye to them and take off on my own for a couple of weeks. I will head more or less west from Keb until I hit the Norwegian border and then follow it cross-country going north on the Swedish side until it meets the border of Finland way up north at Treriksröset (the Three Country Cairn). From there I will head west towards the setting sun and hope to dip my toe in the salty Atlantic ocean at Storfjord, not far from fabled Troms. This will sort of be section III of IV in what has turned out to be a section hike of the Swedish mountains. 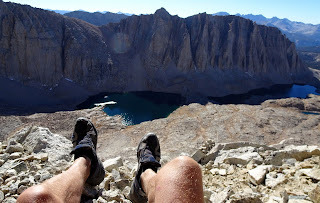 Part I was done in 2004, on my very first very long hike with lightweight gear. 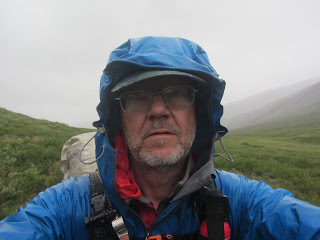 I walked north from Hemavan with a baseweight of 10 kilos, quite an improvement on my usual 18 kilos, and ended up in Nikkaluokta after 500 kilometers of gloriuous hiking. It was this experience that made me decide to write a book, telling everybody, or at least Swedes, that hiking with light gear could be done also in the Arctic and still be safe and comfortable. As a result of this my first book, Vandra Fjäderlätt, was published in 2007. In 2008 I started from Hemavan again, but this time going south for another 500 kilometers, to Anjan Mountain Lodge. This leaves me with to sections left, the southernmost from Anjan to Grövelsjön and the northern one, from Nikkaluokta to Mt Pältsa and on to where the borders between Norway, Finland och Sweden meet. This is the one I will do this summer. The plan is to stay away from trails and bridges and travel cross country as much as possible without getting stupid about it. The reasons are simple, trails tend to put me in a rut, literally and mentally and I find it much more fun to pick my way with map and compass through new country. It is also good practise for parts of the world where trails and bridges are even fewer and farther between than in Swedish Lapland. I will cross one major road, and railway, at Riksgränsen east of Narvik. There I will resupply, likely by picking up a box sent on ahead. The whole trip should be roughly 300 kilometers and take some 12-14 days. Right now I'm way behind with gear planning for both the trip with my wife and son as well as the solo section hike. I'll get back as soon as I know more myself. 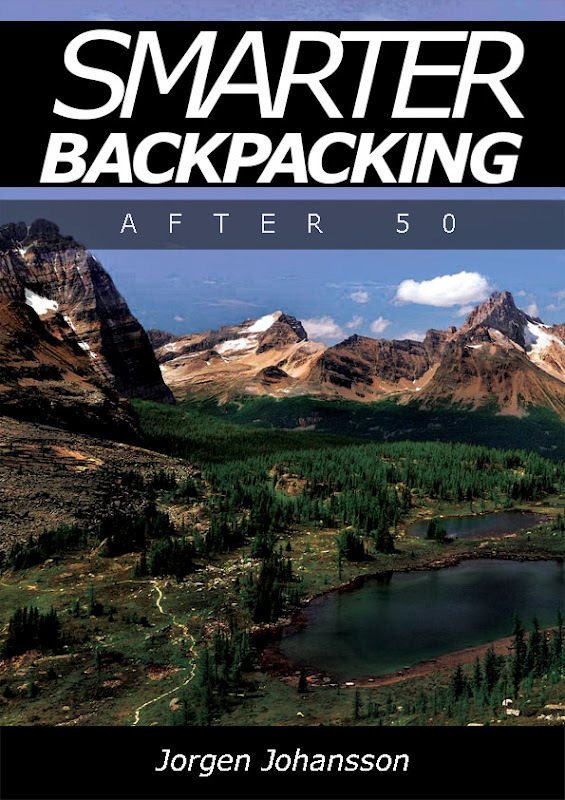 Part of being behind with my planning is due to the fact that my latest book, "Smarter Backpacking after 50" was entered in the Amazon Kindle store only a few days ago. I hope to write more about it shortly, until then you can always pop into the Kindle store where you will find it here. 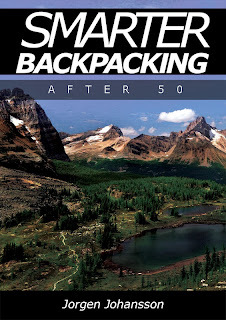 I would like to buy Smarter Backpacking after 50, but unfortunately the e-book version is only in Kindle format and I happen to have the Sony e-reader, which uses EPUB. It's a pity that it can't be published in 2 formats. I suppose the book is DRM protected, otherwise I could converse it. I do not know if Amazon keeps it DRM proteced, I am not that familiar with the technology. Is there any way this could be checked so that you can get a convertible copy? Any plans of offering the book to the b&n nook? From what I understand there are systems (some maybe even legal?) to transfer e-books between different e-platforms. However, to be fair, do not expect anything within the next 6 months.